InRedox will exhibit at the Materials Research Society (MRS) 2016 Fall Meeting in Boston, from November 29 – December 1. Our team is exited to meet with many of our customers and catch up on their latest research projects. InRedox’s exhibit will highlight the expanding Nanofabrication Toolbox product line, featuring products from nanoporous Anodic Aluminum Oxide (AAO) and nanotubular Anodic Titanium Oxide (ATO), as well as new accessories for different applications. 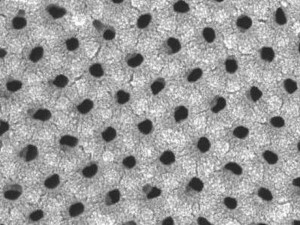 Material scientists utilize self-organized nanomaterials such as AAO and ATO both in fundamental research and in practical applications. 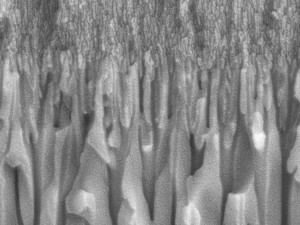 By offering AAO and ATO in a very wide range of specifications and form factors, InRedox makes these these materials compatible with a diverse assortment of experimental techniques, helping researchers shorten the “idea to publication” cycle and the “discovery to product” timeline. The InRedox MRS exhibit will also feature the Filtration and Separation product line of nanoporous membranes, filters and hardware designed to enable precision size-dependent (1 to 200 nm range) separation and transport research and application development. These unique products make it possible for scientists and engineers to choose the nanometer-scale pore size they desire, and conduct separations with a size precision previously thought impractical. InRedox’ products are available for shipment now and accompanied by in depth technical support to help you reach your goals. Let InRedox nanostructured materials give you a head start on your research. Join us at booth #721 to explore our products, meet our team and discuss your research!